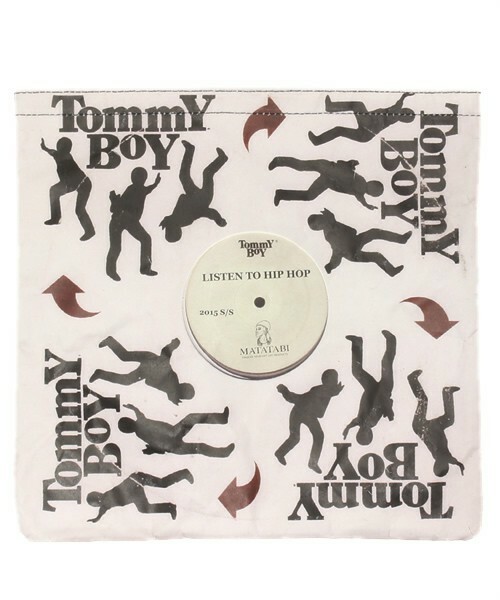 I somewhat fortuitously discovered this collaboration between Talking About The Abstraction and Tommy Boy, consisting of a unisex Clutch Bag and Shape Memory Bag bearing the legendary Tommy Boy logos and the slogan "Listen To Hip Hop.". That a Japanese brand came up with the idea of collaborating with Tommy Boy didn't surprise me. That the collaboration so successfully engaged me and encouraged me to revisit the music and relive the memories most certainly did however. Talking About The Abstract is a brand using the concept of adding various elements to casual wear to produce something altogether new. That is not something particularly new considering many Japanese brands' passion and excellence for reproduction and reappropriation. Where TATA fit in amongst the likes of Sasquatchfabrix and FDMTL is something I'm eager to explore in more depth. Following a deal that saw Warner Bros. acquire the back catalogue and the label regain independence, this brings back fond memories. Spanning some thirty plus years the record label was home to seminal Hip-Hop artists and producers such as Afrika Bambaataa, Capone N Noreaga, De La Soul, Digital Underground, Everlast, Ghostface Killah, House Of Pain, Method Man, Naughty By Nature, Prince Paul, Queen Latifah, RZA, and many more. 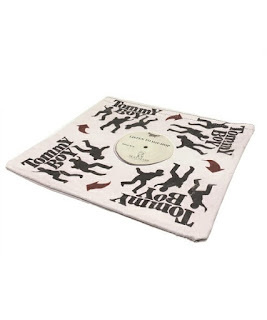 However the label can also boast equally impressive dance and electronic acts like Coldcut, LFO, 808 State, Masters At Work, Sneaker Pimps and Todd Terry. A significant portion of my musical taste and influences can be attributed to the records put out on this label, both in my youth and still now, in particular the House Of Pain albums. I emailed Naoki Ichihara with the feeling that this collaboration was just as personal and he very graciously replied with the below. "I have been greatly influenced by Hip-hop culture. So, I got this idea smoothly. I would like to mix Japanese mode and casual style with the atmosphere of Hip-hop. Existence of music is changing with the times. But I remember people who have records walked like the good old days. I dropped these image into the bags. I was influenced by analog records like Afrika Bambaataa and De La Soul etc. I bought some records of Tommy Boy Label, listened and played DJ by using them. 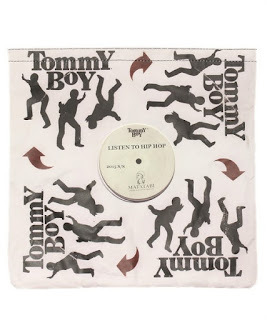 These bags with Tommy Boy are only for 2015 Spring/Summer." The Clutch is made from cotton and paper and is my favourite aesthetically, but the Shape Memory Bag, made from polyester and aluminium seems far more user friendly. What you'd carry in either of these is really impossible to say, I have a purple vinyl 12" of Jump Around by House Of Pain that I'd probably use the Clutch Bag to store and display. With SS15 now at an end the brand are already putting their AW15 pieces on the site, but if you are quick you can email them about availability. Failing that the bags are available on Zozotown HERE along with a substantial collection of clothing and accessories from the brand.